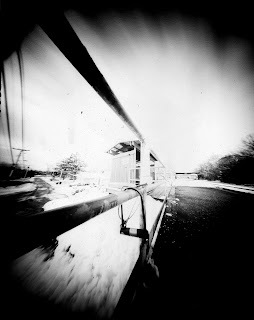 I decided to dig out of storage the oatmeal pinhole camera that I made in 2008 and test it out yesterday. I begin by saying that I was really eager to test this camera--not only because I finally could (i.e., having acquired paper developer, trays, tongs, a safelight and wee bit of darkroom experience), but also because I'd yet to work with a camera that offered a curved film plane. But holy-no-good! I'm just confounded by the results. I actually opted to begin this post with what I consider to be the only decent image of the bunch and this hasn't yet been inverted or made into a positive. Things looked pretty promising with this one, in fact, when I pulled it out of the fixer. Problem was that it looked really, well, problematic, when I inverted it in Photoshop. From what I could tell, the canister didn't have any major light leaks or other problems. I had painted the whole inside of the oatmeal container flat black when I made it and save for needing to apply a bit more black tape to the inside--I wanted to make sure that the pinhole was still securely attached to the inside of the camera--I didn't see any major issues. But my results seem to want to beg to differ. Holy yuck. I began the test by taking a few outdoor shots. The sky was bright, but there wasn't any direct sun to contend with. My sense was that it was perfect pinhole-testing weather. I used 5x7 sheets of paper and since I knew that I wouldn't be developing them one-by-one, I just began bracketing shots--my first exposure was 30 seconds, then 45, then a minute. For the camera close-ups and indoor shots, I went a bit longer, anywhere from 5 to 10 minutes. On the bright side, I can say this: There weren't any blank sheets of paper post-exposure. In this way, I knew my exposure times were at least in the ball park. 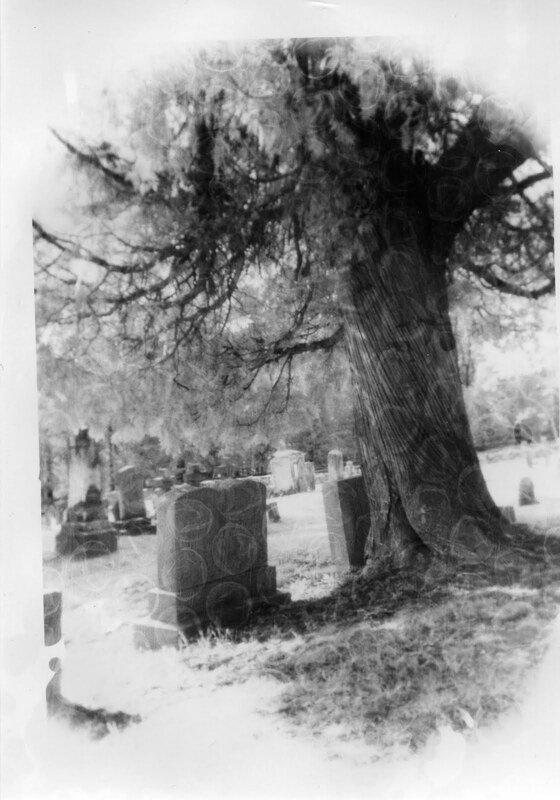 On the less-than-sunny-side-of-things, the images all had major problems in the form of weird dots and squiggles and light leaks (see sampling of images at the end of this post). One way of accounting for the oddness is that I didn't mask well or completely enough the backside of the aluminum can I was using for the pinhole. I also appear to have light leaking in around the bottom of the canister. 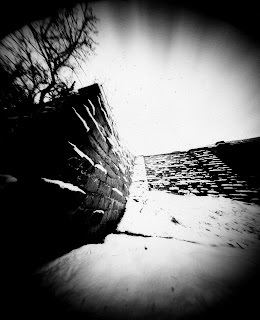 At this point, I think I'd rather cut my losses with this pinhole and build another rather than monkey with this one. I did think to take set-up shots during yesterday's session--this is something I've been meaning to do. . .or to do more of. It's one thing, I think, to talk about process and/or show results of a certain process but I think it can be much more helpful to actually see aspects of the process. Perhaps it was a good thing that I waited to develop most of the negatives--that I didn't shoot one, develop one, etc. Still otherwise put, had I seen the earlier results, I don't think I would have taken as many shots. And I definitely wouldn't have bothered with set-up/process shots for this session. With the two images below, I try to provide a view of what the set-up or process looked like and I contrast this with the final result(s). 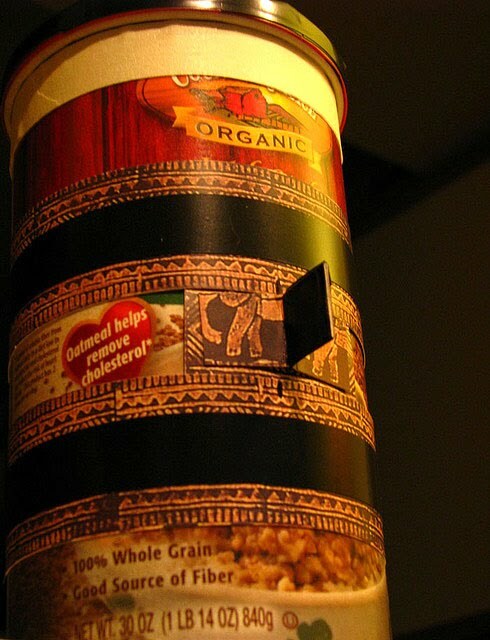 I thought that perhaps camera shake/movement was to blame for some of the funkiness in the first images I created, so I used an slr to weigh down the oatmeal container. Also, instead of trying to vertically center the 5x7 paper in the canister, I pushed the paper to the bottom of the container, hoping this would make a difference. The jury is still out on that. I did have more success and much happier results working with the 3-a folding brownie. This is, I must say, an amazing camera. I just need to get a better handle on the exposure times for this one. The image below again shows the set-up for the shot contrasted with the final shot. This was a 60 second exposure at f/16. 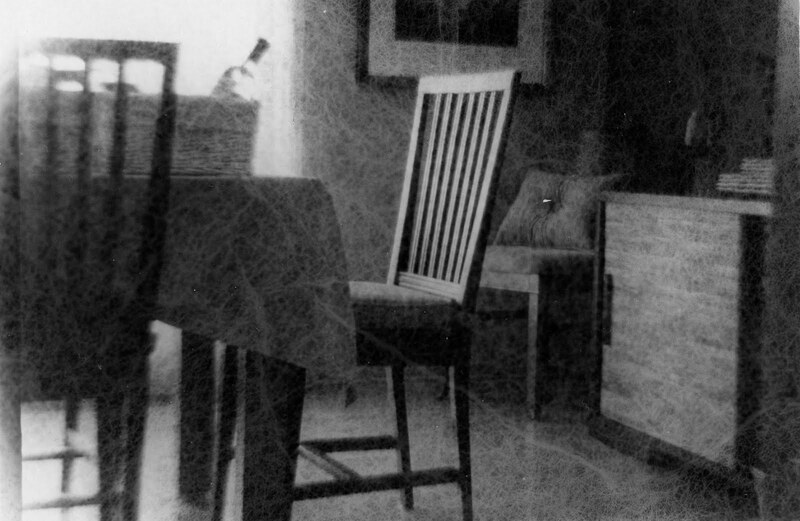 Part of the fun (and, indeed, challenge) associated with making paper negatives is finding cameras with which one can actually create decently-sized paper negatives. 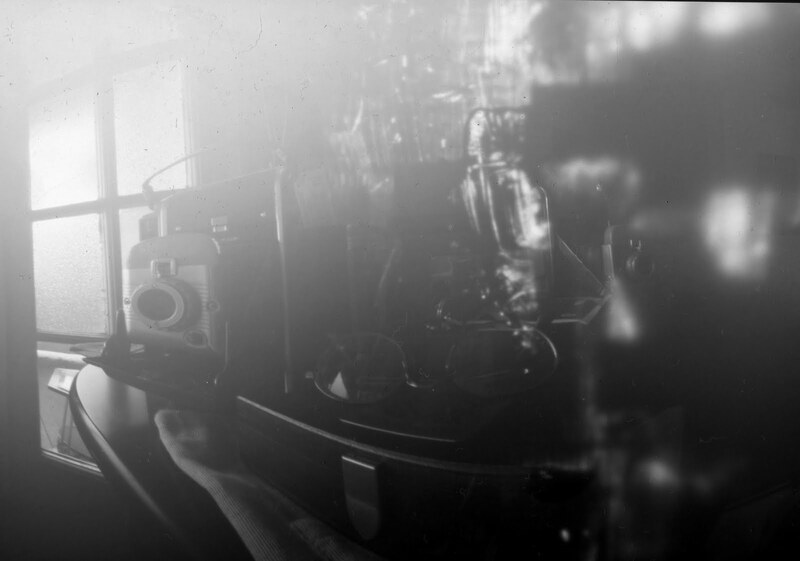 Pinholes are certainly one way to go--if you make the camera yourself, you can go extremely ginormous, in fact. All right, so Cameratruck isn't technically a lens-less camera, but this is what I mean by big. . . Given the turtle-like speed of most photo papers, it's helpful, if not entirely necessary, to work with a regular (and by "regular" I mean non-pinhole) camera that has a bulb or time setting. 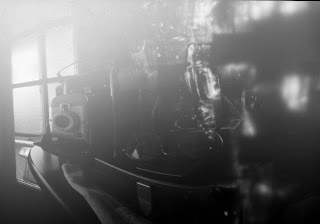 I think it's also important is to work with a camera whose film plane is large enough to result in a good-sized paper negative. Put otherwise, one could conceivably use a 110, 126, or 35mm camera for paper negatives, but the negative would be extremely tiny. Since I don't yet have a "regular" 4x5 camera to work with (boo), Chris and I decided to experiment with two of the old Polaroid roll film cameras I have sitting around. If memory serves, I picked up the first Polaroid 80 at a yard sale for 5-10 bucks. 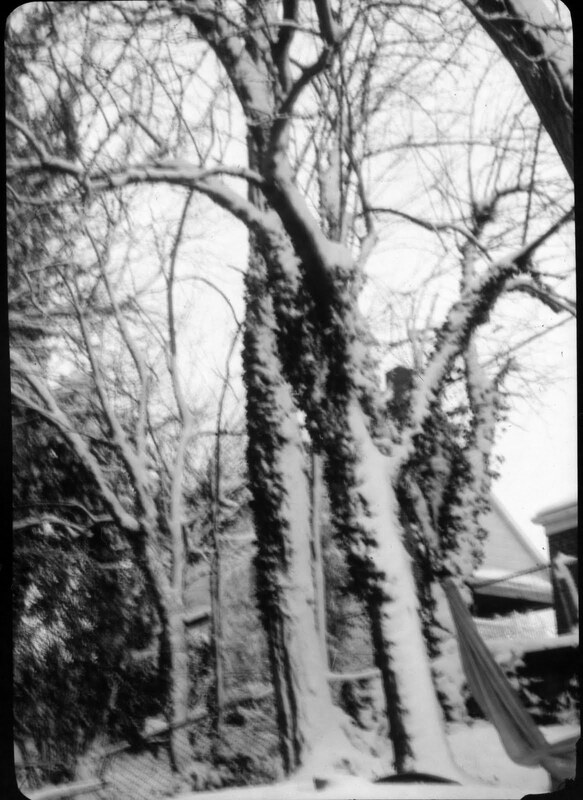 My plan at that time was to purchase a dremel (I actually got around to that) and then modify the camera to take 120 film (still on the to-do list). The second Polaroid 80 was for all intents and purposes a freebie. Chris and I had been antiquing over the Christmas break and the owner of one shop had an old Polaroid filter I'd been looking for. When I asked how much he wanted for the filter, the owner offered to sell us the filter, a bunch of miscellaneous items and four or five old camera cases for 10 bucks. The Polaroid (along with another 127 camera) was part of that package. Anyhoot. 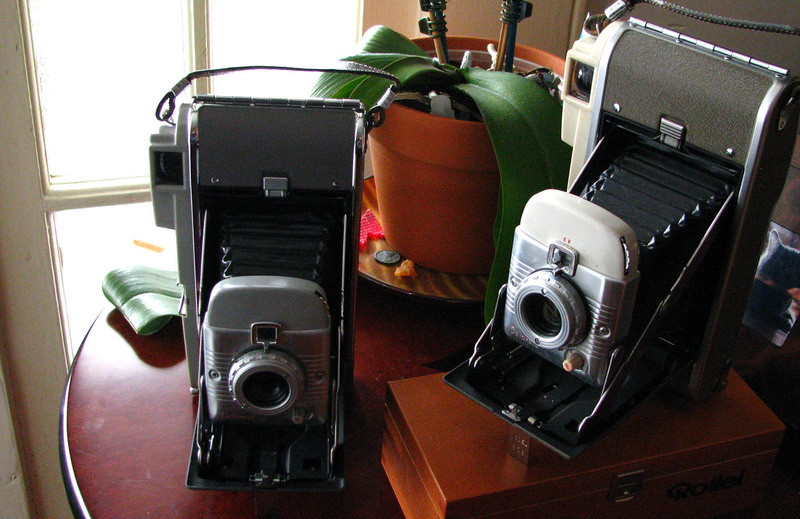 Both of the Polaroid 80s are in wonderful condition. 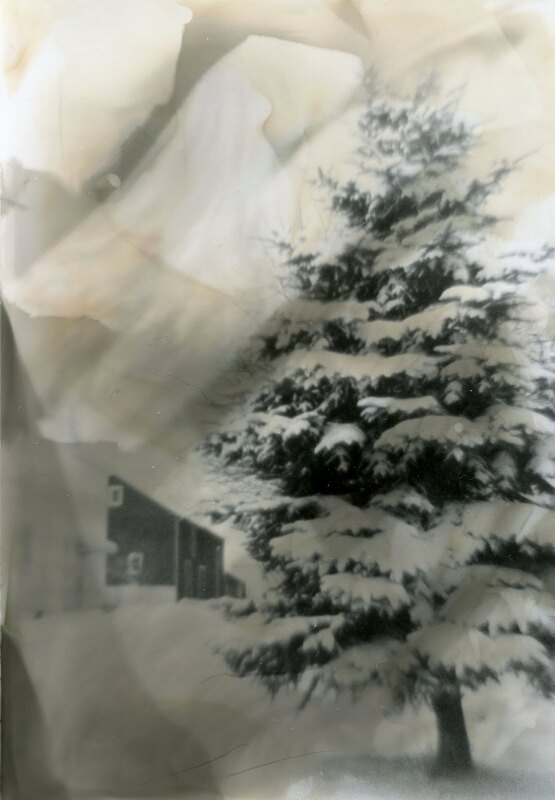 Perhaps more importantly, and unlike the majority of the other Polaroids I own, they feature bulb settings making them perfect for making paper negatives. --As an aside, I'd mention here that what these cameras lack, however, is the capacity to take a cable release. 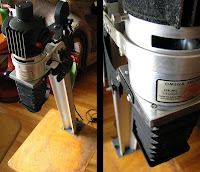 Though they do feature tripod mounts--and this helps tremendously to guard against motion blur--pressing and releasing the shutter level can introduce movement--something at least to be mindful of. But back to the good stuff: The film planes on these cameras--while not as big as those on my other Land Cameras--are still generously enough sized to create decent negatives. As a matter of fact, Chris has found that if he cuts in half the Kodabromide post-card photo paper we recently acquired, it fits more or less perfectly inside the Polaroid 80. Yeah! No wasted paper! For ease of loading, and perhaps more importantly, to ensure that the photo paper stays in place, Chris modify the film plates of the Polaroids using photo corners and some of my snazzy leopard duct tape. Cool! Both functional and fashionable. Loading and unloading the Polaroids is a bit tricky (especially if we are out and about taking pictures) and certainly more cumbersome than it is with the Zero Image. 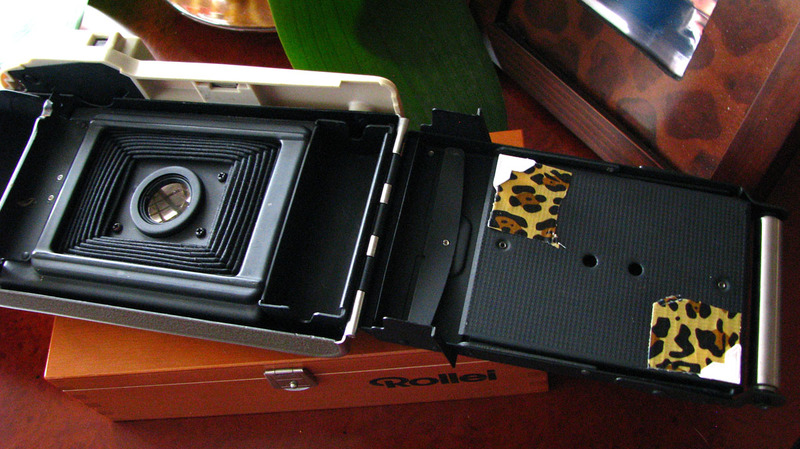 With the pinhole, I can load up all five film holders and just swap them in and out. I can, in other words, get ten images before I need to worry about unloading and reloading. Unloading and reloading the Polaroids, by contrast, requires us to bring with us a black bag and something light tight that we can store the exposed negatives in. 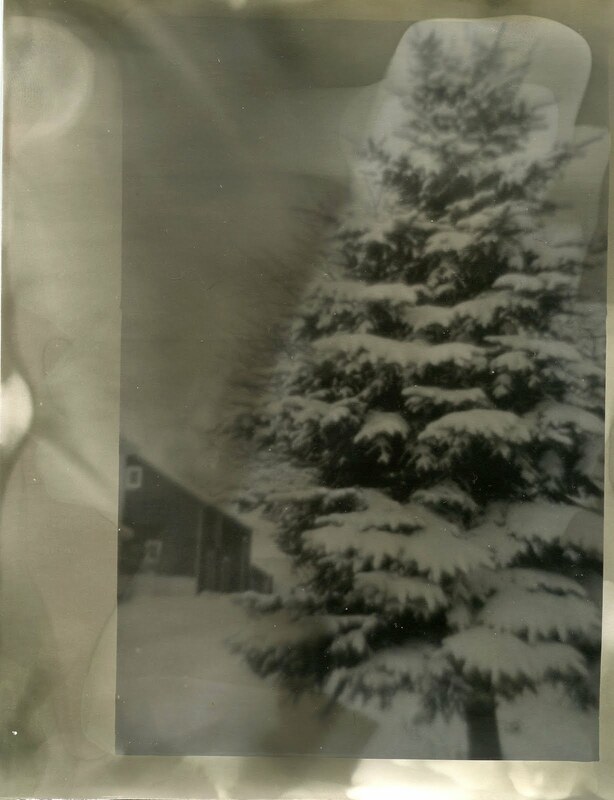 While I was trying to get a sense of the best (or simply doable) exposure times for creating paper negatives made with the Zero Image 45, Chris tried to get a sense of what exposure times and aperture settings work best for the Polaroids. A sampling of some of Chris' images appears below--most were approximately 3 second exposures with an EV of anywhere between 6-14. If I've learned nothing else in the past 40-something years, I have learned that the majority of things I hope to have happen (i.e., earning a Ph.D., publishing a book, finding a hobby, dealing with my driving phobias) will, in fact, happen. Problem is, most of those things I hope to have happen will not happen when, where, or in the precise way I hope they will happen and/or as I had been envision them happening. Case in point: I made this pinhole camera out of an oatmeal container back in December 2008. At this time I also ordered some really cheap 5x7 photo paper that I hoped to use to make paper negatives. 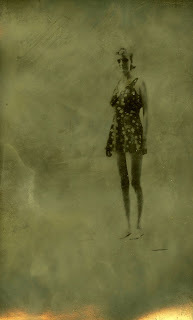 . . .but then my plans for creating paper negatives kind of stalled out. In fact, about 4 months ago I finally gave up and packed up the oatmeal cam and put it into storage. Part of the problem back in 2008 was that I didn't have a darkroom (read: I didn't have an enlarger or safelight, trays, tongs, etc.) Not that I really needed all that stuff and that was kind of the point for my wanting to do paper negatives in the first place. 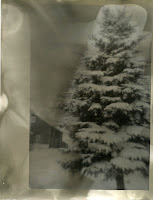 This was something I could do without an enlarger. Flash forward almost 3 years. I finally had an enlarger, trays, tongs, a couple of safelights. And, of course, I still had the photo paper I bought in 2008. 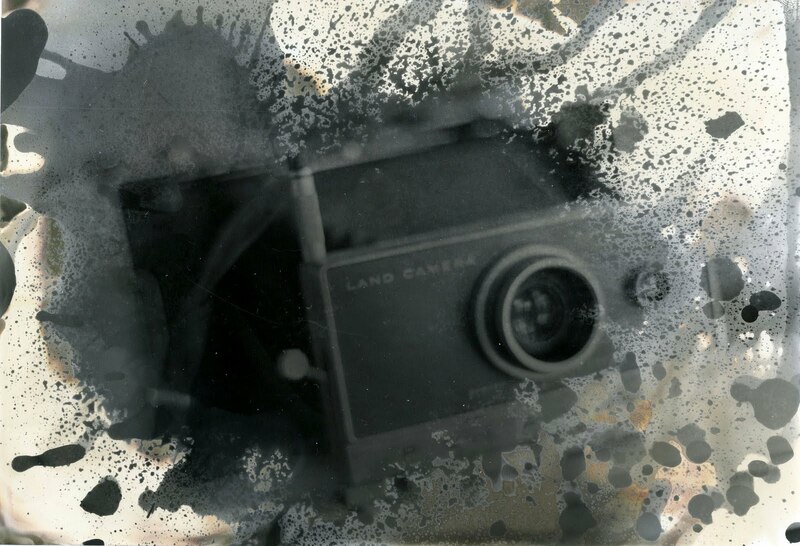 Since the oatmeal cam had been packed away, I decided to experiment making paper negatives with other cameras, namely, an old 3A folding Brownie camera and my Zero Image 45. 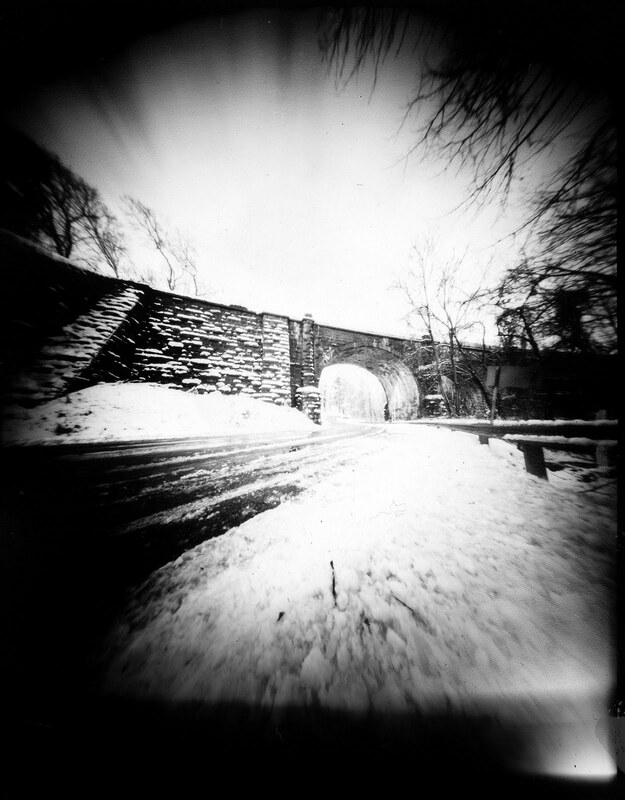 The first couple of test shots I took with the Zero Image (a pinhole camera) were incredibly, incredibly underexposed, as demonstrated by the image to the left. I clearly need to do more research in this area but I'm completely confounded by the difference and/or similarities between stated ISO's for photo paper vs. film. Put otherwise, I had metered for the paper just as I'd meter for film. If a paper was reported to be 200, I'd meter at 100, figuring it would be better to overexpose an image than to underexpose it. This has proven to be a pretty bad plan. 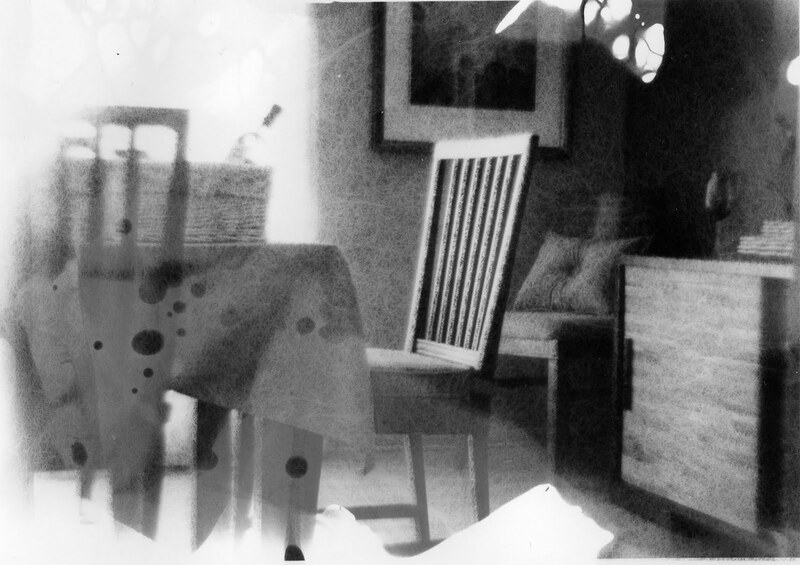 Most of the indoor images I've taken with the pinhole (and the majority of these have been 10 minute exposures) have been unusable and, frankly, hardly worth developing or saving. The image above was one of the better ones, in fact. My plan B was to assume an ISO of 4 or 6 for the paper (regardless of what the datasheets said) and figure exposure times as best as I could from there. My results improved a bit when I moved things outdoors and greatly increased my exposure times. 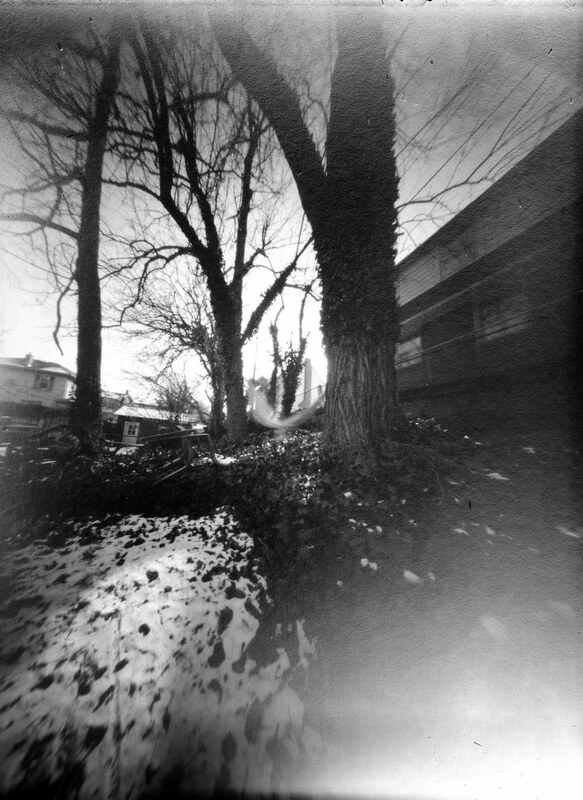 The first image featured in this entry, in fact, represents for me my first successful pinhole paper negative. It's not a particularly wonderful image, but when I placed the paper in the Dektol, something actually happened! After thinking more about things I might have done differently during my first try with the chromoskedasic sabattier process, I decided to attempt it again. This time around, however, I made sure to choose images with "appreciable areas of white." I also decided to change up the method a bit, following a process originally outlined by William L. Jolly. With my first attempt, I was applying the stabilizer and activator separately and exposing the image to room light after the initial development and before applying the stabilizer. Jolly's method had me mixing the two chemicals (whew! more on this later) and holding off turning on the room lights until the image was in the stop bath. 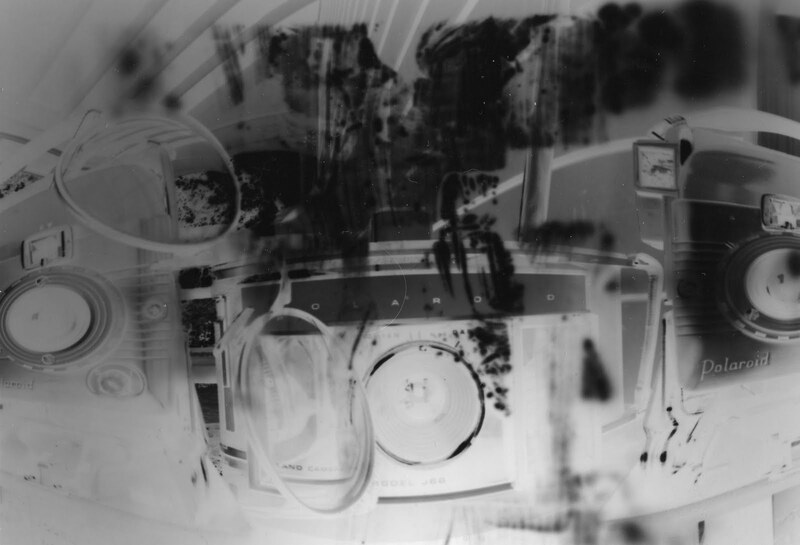 Jolly's method (or one of them, anyway) in a nutshell is as follows: A sheet of paper is exposed under the enlarger for about the same time one would expose it for the straight-up b/w dev. One could go with a little less exposure, but I didn't. Two of the three main images I worked with during this session were exposed for 12 seconds. 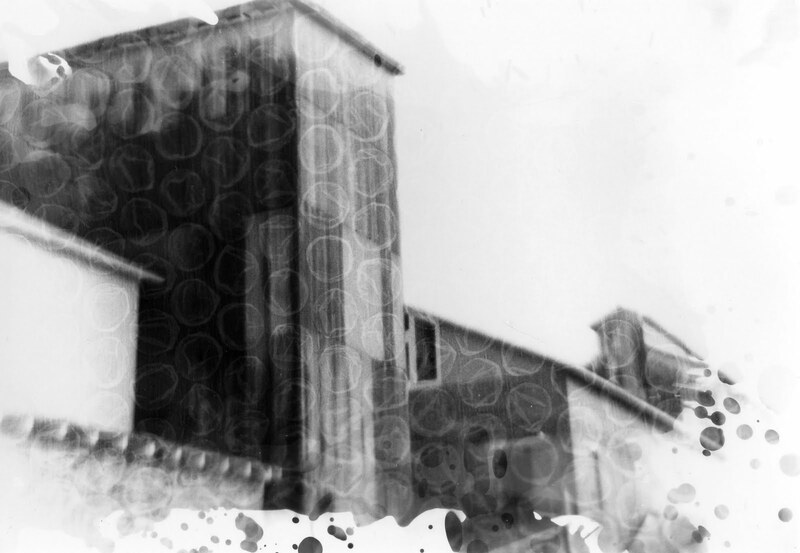 The images were then developed in Dektol, diluted 1:2. Jolly recommends developing the image for 2/3 of the time required for normal development. In my case, I let the images develop for about 45 seconds to a minute. 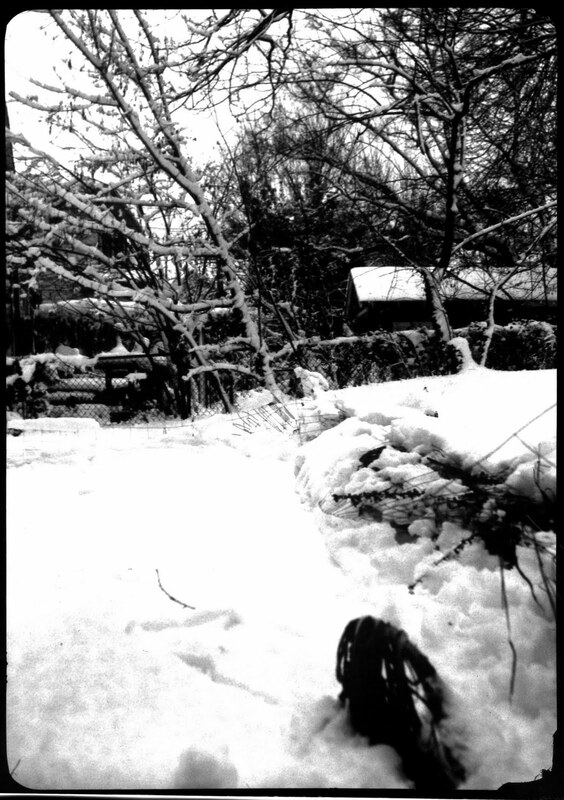 The developed image is then moved from the b/w developer into a "color developer." This is not a regular color developer (i.e., C41), but a mix made up of water, Dektol and both chemicals needed for the chromo effect. Jolly actually provides a number of recipes for the color developer, depending on the colors or tones one hopes to achieve (i.e., for red/olive; for magenta; magenta-brown/gray; orange/gray-green; slightly brown/gray), but I used what appeared to be the basic one, figuring that I could alter things if need be during my next attempt. Once the image was placed in the color developer, I agitated it for about 10 seconds and then let it sit there submerged in the chemicals for about 90 seconds. As an aside: Holy cow. I had been warned but the smell of the color dev was incredible. And not in a good way, but in an ammonia way. Holy cow. I made every effort to keep the container covered as much as possible; I also had the ceiling fan going throughout the session. Thought the color dev process, Jolly advises people to check the image and pull it when the amount of color is satisfactory, but in all truth, it's really hard to see the developing image. 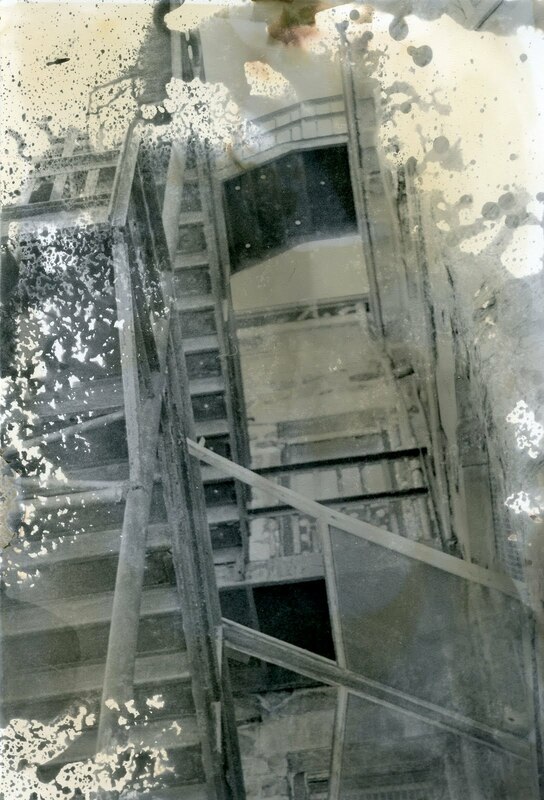 Bracketing off the difficultly of really accurately seeing anything aided only by a 15 watt amber safelight, there was also the "black sludge of finely-divided silver that forms on the print" to contend with. I decided to pull the first image after 90 seconds and pretty much stuck with that for the remainder of the session. Since the warmtone paper hadn't yet arrived, I decided to continue experimenting with the expired kodabromide postcard paper. It helps that this paper is so cheap. I didn't worry as much about messing things up. 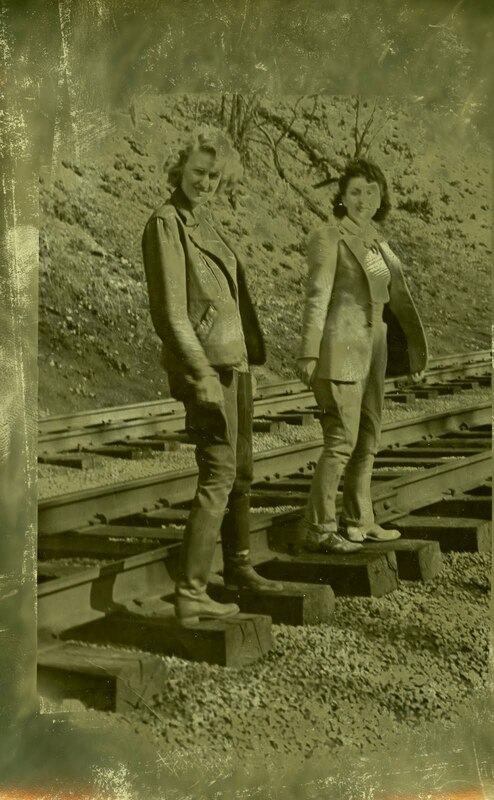 It's been really difficult to create scans of these prints that accurately convey what I'm seeing with these prints but, in person, the images look a bit like tintypes or sepia-toned images--a lot of metallic silver and gold-bronzey colors happening here. With that, I was fairly pleased. 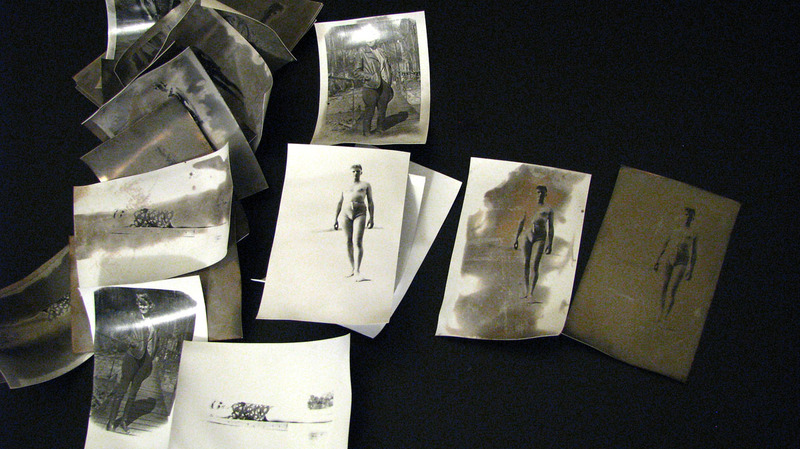 But then came this discovery: When I pulled the images out of the water bath and began arranging them to dry on my makeshift blotter, I noticed that I could scratch them. What's more, I could take a paper towel and easily wipe portions of the color developer away. 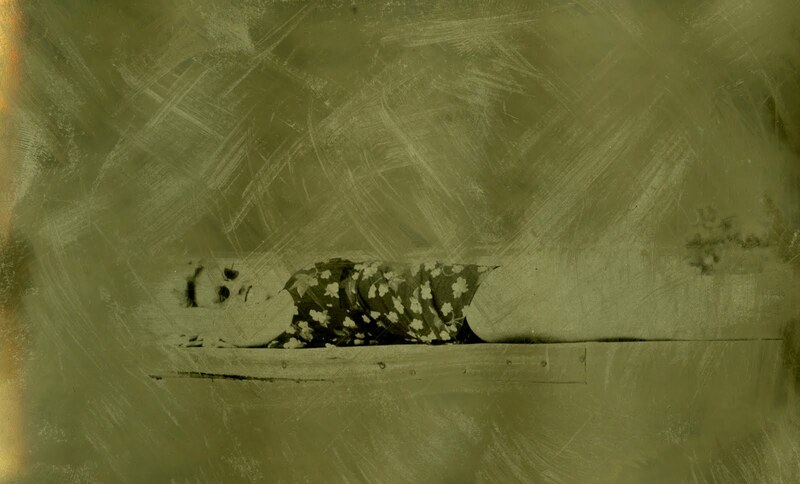 With the image left, for example, I removed some of the gold/bronze color from Nancy's body and tried providing other parts of the image with a bit of paper towel texture. 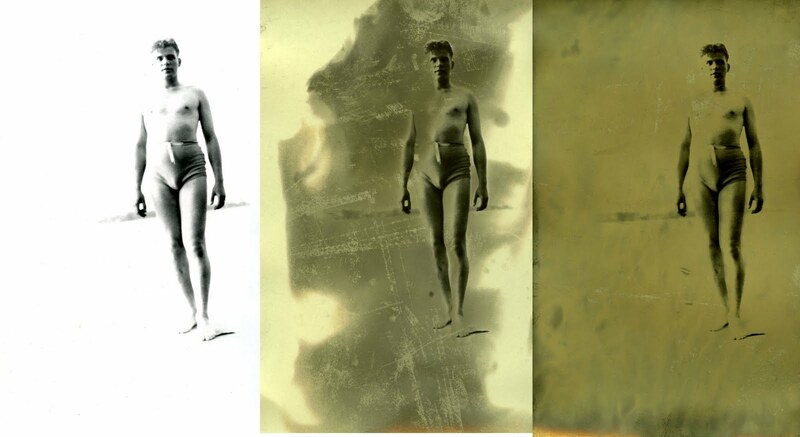 Once the images dried, things became a lot more stable. I can no longer, for instance, use my finger to wipe color away or add texture. I'm assuming I could still scratch into it though, say with a pin or paper clip. A sampling of some of the other images I processed during this session appear below--next time around, I think I'll experiment with a different color developer recipe--maybe the one that promised to result in reds/olives? What I liked about the handout was this--the way it began: "Chromoskedasic is a unique darkroom process that provides fun darkroom experimentation for these who like to put 'play' back into the darkroom" (emphasis added). A few lines down, there was this: "Saying the word 'chromoskedasic' is more complex than doing the process, ultimately. 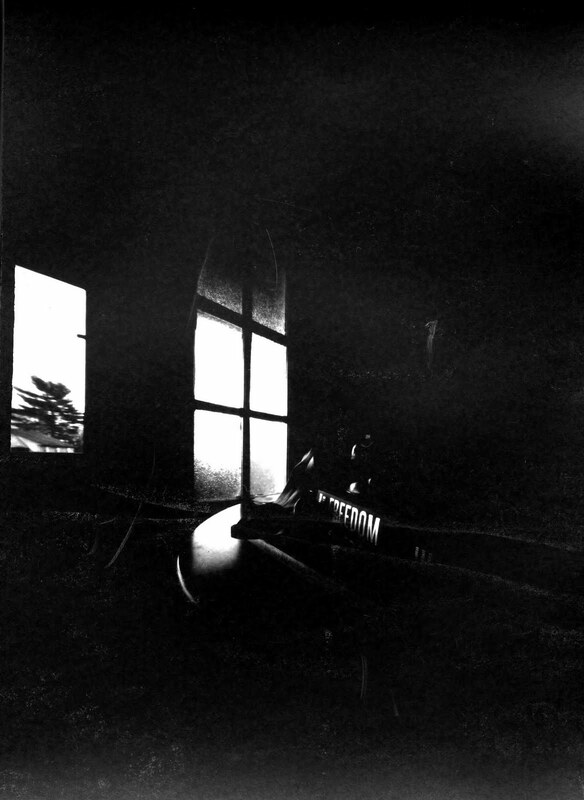 It is a perfect one to teach to students to loosen them up in the darkroom." Yes! Loose, easy and playful! I really liked these lines and they were, I think, largely to blame for my thinking that I could stop attending carefully to the handout from that point forward. Indeed. Yet had I kept reading, I would have encountered this next cautionary line: "However, as with any experimental darkroom process, matching the correct image to meld well with the process is key." Like I almost said to start: "Ooops." The quick and easy version of the process involves the use of two chemicals, a stabilizer and activator. Both chemicals are mixed 1:4 in separate containers. 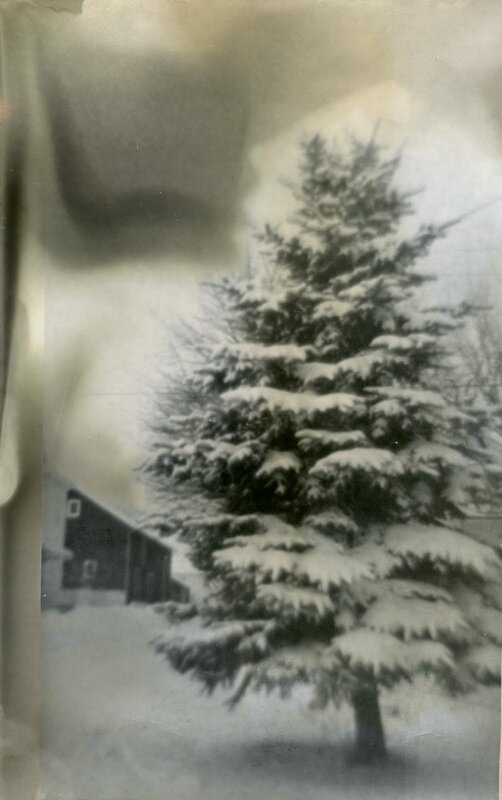 A negative with "appreciable areas of white" is exposed on photo paper and developed as usual. [Note to self: This does not mean that it is selectively developed, even if this is one's usual way of doing things.] 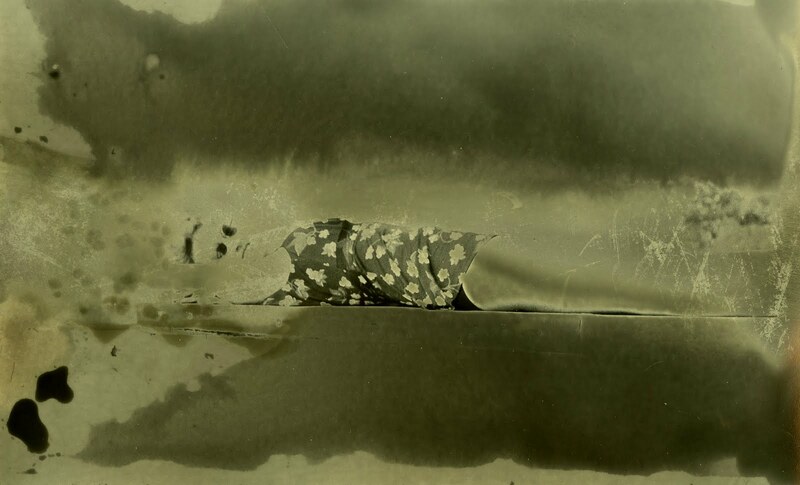 The image is then drained and rinsed in a water bath for half a minute. At this point, the normal room lights can be turned on and the print is placed in a flat-bottomed tray. Warning: At this point, the unfixed image will begin to change color--mine became bluish-purple. 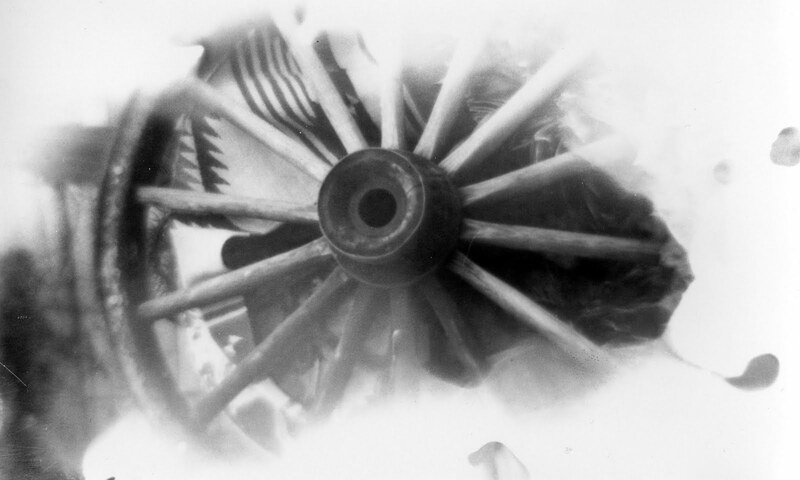 The stabilizer is then painted selectively across the image. At this point, the darker colors should have turned yellow. I got a little of this at times, but I was definitely expecting more yellow. After a minute or two [Note to self: You should have actually waited a minute or two] the activator is selectively applied in places one "desires a dark brown shift. " Sigh. 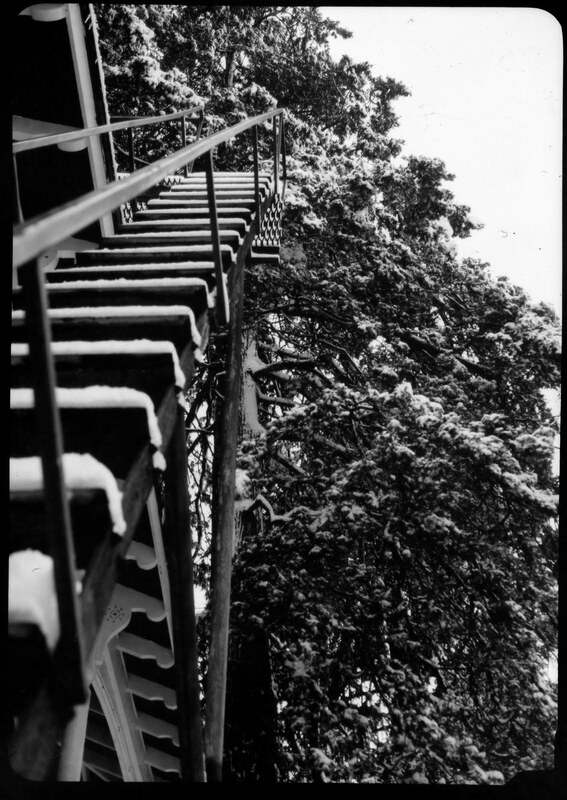 Now this image of the staircase at the psychiatric hospital up the street could have been really good. Really. 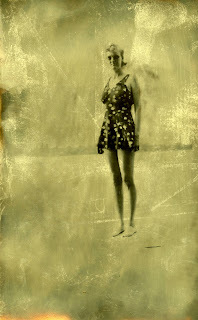 This was the first image I experimented with. Everything was going swimmingly as I was actually getting some browns and purples and reds in the image. Thinking that more is necessarily always better [as I'm learning though, where the darkroom is concerned the opposite seems to be true], I decided that I desired "silvering out" and began selectively spraying the image with dektol developer. [Note to self: Find out what "silvering out" is before deciding you desire it.] I repeat: Ooops. The image just smeared. And kept smearing. Perhaps the directions should have read instead: "If smearing the entire image is desired, spray it with non-diluted dektol." Feeling fairly confident that I had messed this up, but not wanting to appear to be a quitter and spoil-sport, I finished off the process as recommended by rinsing, fixing and washing the image. I tried another image of the stairs at the hospital. There was a wee bit of color shifting happening here. I was hoping things were moving in the right direction. . . .I was hoping. But things never quite took off. 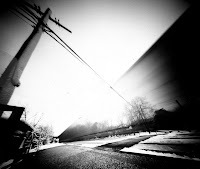 There were some interesting effects/textures happening here, but not the pronounced color shifts I had been expecting. By the by, this is kinda what hoping for. 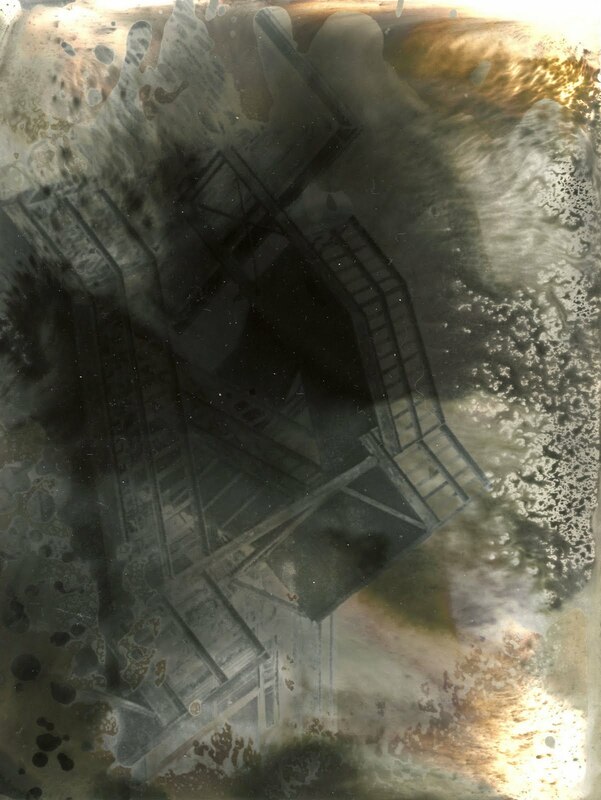 During my second and third sessions in the darkroom, I wanted to experiment with chemical painting techniques and with using common household items as a way to add texture to the image. 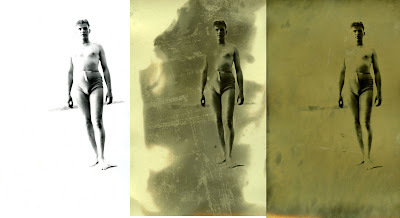 While I was somewhat familiar with the technique of adding textures to images, selective development or chemical painting represented new territory for me. 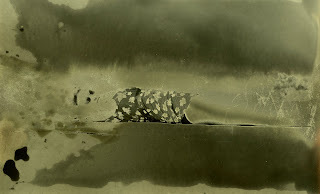 I learned about chemical painting in Tom Grimm's most excellent text, The Basic Darkroom Book. With this technique, developer is added to a print selectively, by hand (or by brush, sponge, sprayer, etc. ), as opposed to placing the exposed print into a tray of developer. With the first image featured here, I used a large paint brush, brushing (as well as splattering) developer across the center of the image. 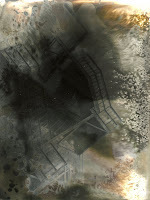 I then lifted the image by its corners, allowing it to drip one way and then the other. Once I was more or less satisfied with the results I moved the print into the stop bath, fixer and then wash. In terms of experimenting with texture, I chose bubble wrap and a used dryer sheet. This particular image was created with bubble wrap and selective development. I exposed a 5x7 sheet of fortespeed RC grade 3 paper under the enlarger for three seconds and then I placed bubble wrap over the image and exposed it for another 3 seconds. 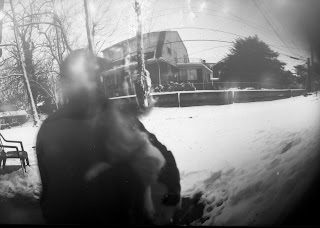 I've been developing my own 35mm and 120 film (both color and b/w) for a little over two years now. 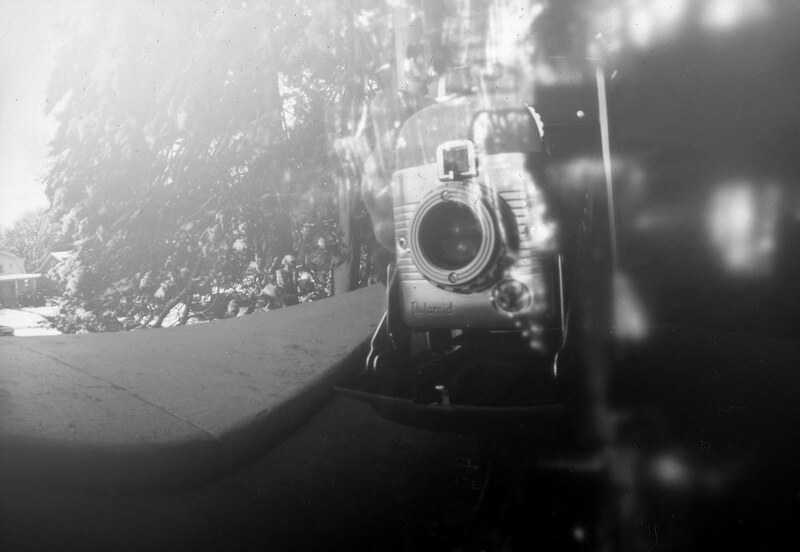 About a year and a half ago, I began thinking seriously (however briefly) about setting up a darkroom. Problem was, I could always come up with plenty of good reasons why I couldn't (or shouldn't) continue thinking seriously about setting up a darkroom: I didn't have the space; start up costs were extremely daunting (especially so with no COLA in sight and all these furloughs! ); the learning curve would be way too steep; I wouldn't have the time or patience to learn something new and do well at it; I should really be working on my book and worrying about getting tenure, and so on and so on. With the book done and tenure materials submitted, and having moved into a much larger place, I began to reconsider setting up a darkroom. Really, all that stood in my way were the start-up costs (did I mention the lack of COLA and furloughs? arghh!) and my fear of looking stupid, not knowing what I'm doing and/or being incredibly overwhelmed with new information. About three months ago, I began researching and reading about enlargers. I learned pretty quickly that there was no way I would be able to purchase a new one. Ebay seemed the logical choice for used enlargers but the shipping for something that heavy often times was (and understandably so) outrageous. 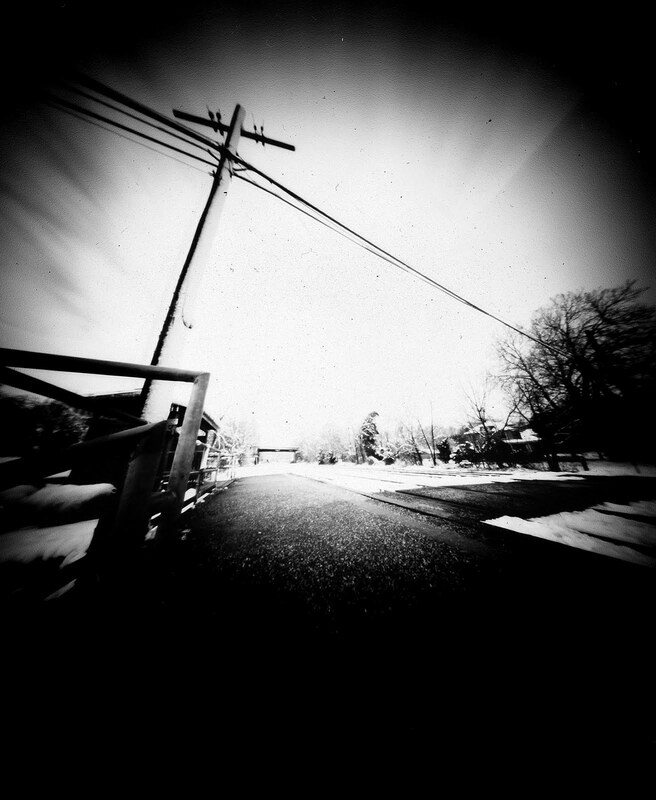 I figured that short of someone peddling enlargers door-to-door, the darkroom dream would have to wait. In the meantime, in the hopes of making myself feel better, I tried to come up with reasons why setting up a darkroom would be a waste of time, money, brain-power and space. The best reason I could come up with was this: Photoshop. 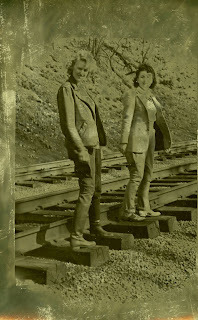 Certainly, I could continue to scan in, print, and/or upload my developed negatives as I'd been doing since August 2008. Plus, working with layers, filters and textures would allow me to more or less approximate the kind of stuff I was interested in doing in the darkroom. Then again, I'd be missing out on having the darkroom experience. Unlike those I've met who have recently turned away from digital and returned to film and to the darkroom, I'd never taken a photography class, never had access to a darkroom. 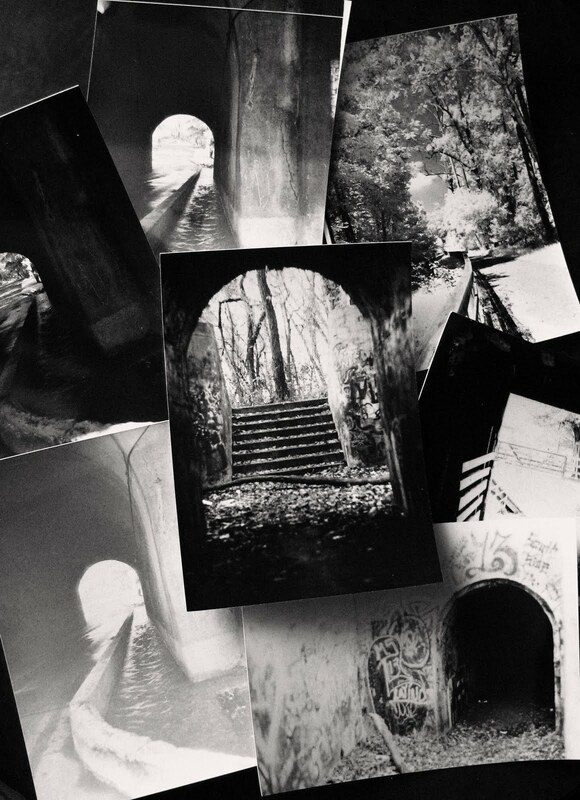 Even if it proved to be a tremendous hassle, I wanted to be able to say that I too had had some darkroom experience. 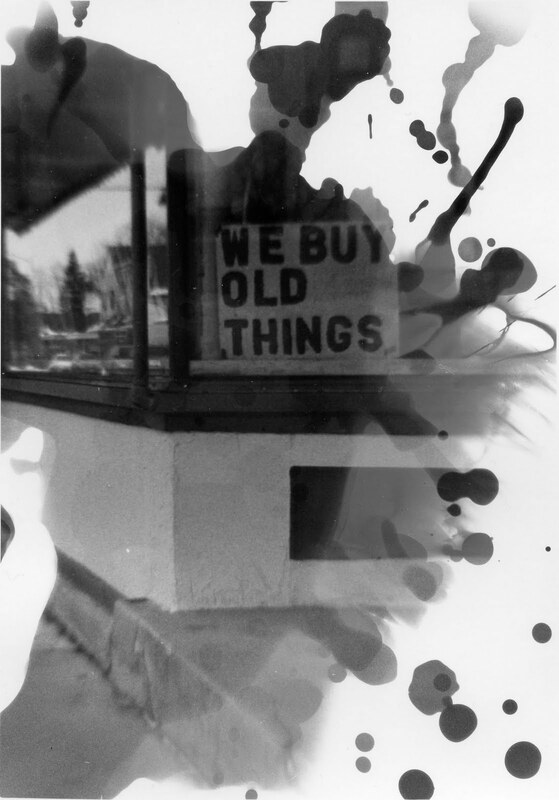 And perhaps the most compelling reason to continue the darkroom dream was this: Christina Z. Anderson's most excellent Experimental Photography Workbook. There were (and I guess at this point, I should say "there are") so many techniques I read about here that I wanted to try. 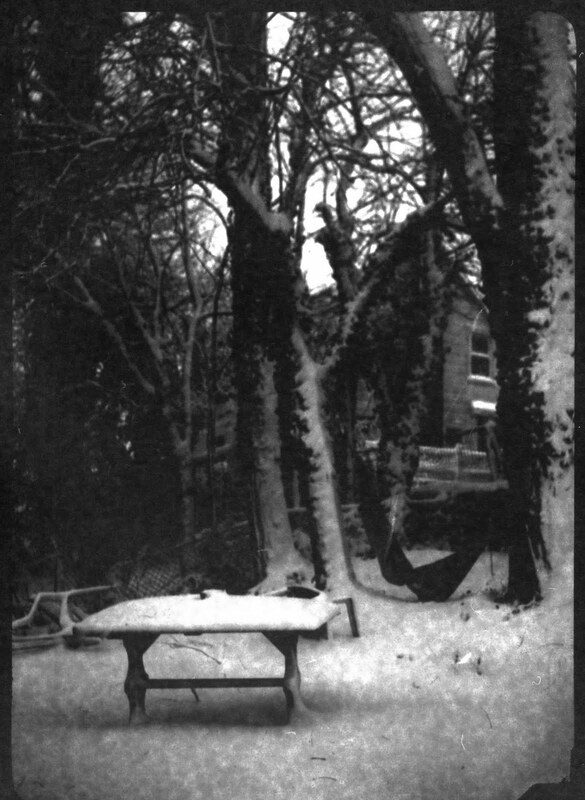 While the text includes some experiments and techniques that don't require an enlarger, the majority of those I really wanted to try did require access to an enlarger--chromoskedasic sabattier, liquid emulsions, lith printing, toning, selective development, bleaching, bleach-etch/mordançage, and so on. Flash forward to fall of 2010. The book had been completed and all my tenure materials had been submitted and Chris and I took a weekend trip to Pennsylvania. We were in the most flea-bitten of shops when we came across a student starter enlarger kit that appeared to be 50 bucks. Not wanting to pay full price for the kit, we asked that the seller be contacted for his/her best price. Before leaving PA, we stopped back in the store (seems their phone had been disconnected) and learned that the "1" had fallen off the price tag and that the actual price for the kit was 150 bucks. The seller said we could have it for 85 bucks but this was 50 bucks more than I was hoping to spend. As luck would have it, we found in another corner of the shop an old Omega B22. Save for its plastic cover, the piece was in very good condition. Better yet, it was something the seller was willing to let us have for 30 bucks. The next step involved converting the study to a darkroom. It was important to me that the room continue to serve a dual-function (i.e., as a study and a sometimes darkroom), so Chris hung curtains on two of the three doors of the study. With the curtains drawn, the space was light tight. When I'm not needing the light-tightness, I can pull the curtains to the side, open the doors and the study pretty much looks as it always had. 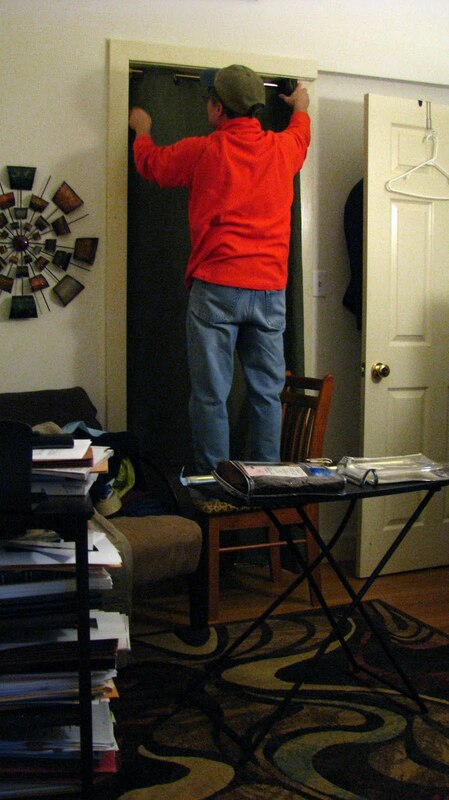 Total cost for making the room light-tight was about 30 bucks. 20 bucks for the curtain and about 10 bucks for the tension rods and extra hardware needed to hang the curtains. Not bad. 60 bucks and I was more or less ready to go. Well, almost. I still needed a safety light, trays and tongs. 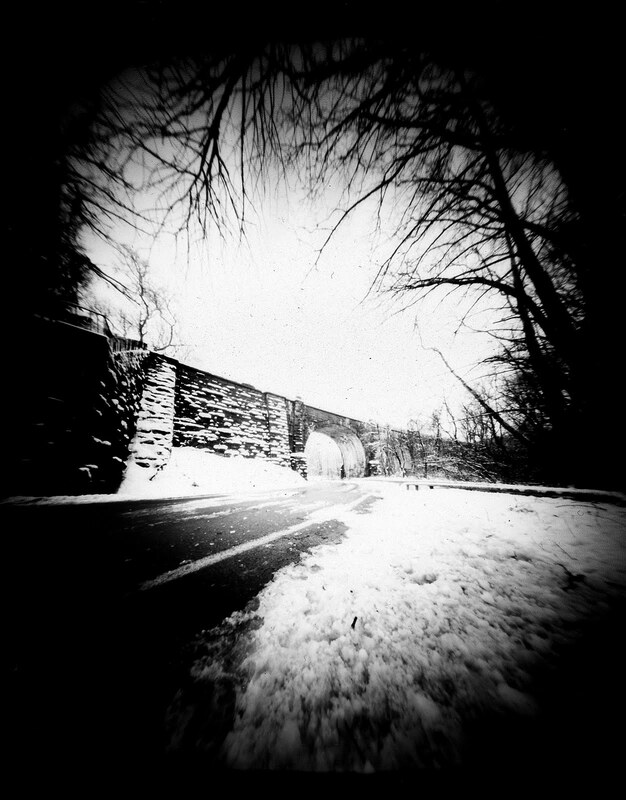 Technically speaking, I also needed photo paper and paper developer, but I happened to have some of that on hand from the brief time during which I thought seriously about doing pinhole paper negatives. Since setting up and testing out the darkroom, I've decided to invest in the materials that I'll need in order to work with 6x6 negatives. To this end, I've needed to purchase a 75mm lens, a 6x6 holder, a 39mm lensboard and retaining ring. Compared to the cost of the enlarger (the enlarger only came with all the materials needed to work with 35mm negatives), these items seem costly. To get everything I needed (on ebay, as usual) it cost me another 70 dollars. All in all though, not bad. We got the darkroom up and running for 174 dollars. Where the real expense will begin kicking in, I'm afraid, is with the different papers and chemicals I'm eager to try.